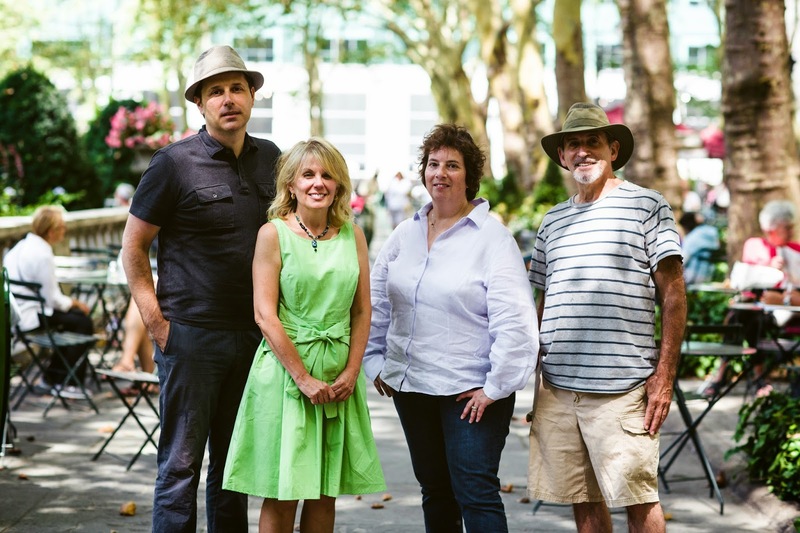 Our first artist of the season, Simon Levenson started the program from August 4-15. A drawing instructor at The National Arts Club and the Museum of the City of New York, Mr. Levenson has displayed his work in many distinguished galleries, including the Cavalier Galleries and the permanent collection of the MTA Arts for Transit Commission's Permanent Gallery. Mr. Levenson focuses on translating his subject "as effortlessly as possible." He aims to give his viewers a feeling of "deep satisfaction" through this simplistic approach. 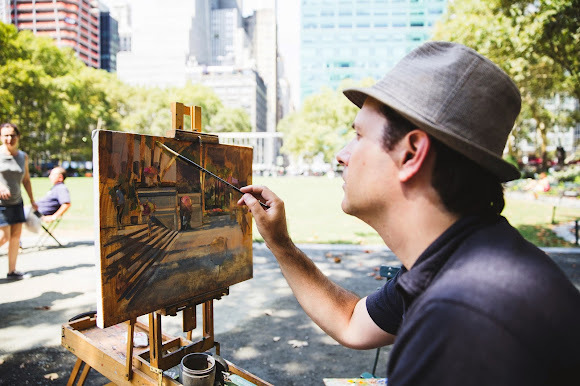 The process of painting, he says, involves practicing and studying drawing, color theory and composition. This all came through in his time spent at Bryant Park; he produced a wildly exciting and beautiful oil painting of the Upper Terrace Steps. You can view all of Simon Levenson's work on his website. Make sure to stop by the park in the coming weeks to take a peek at the current Painter in Residence! 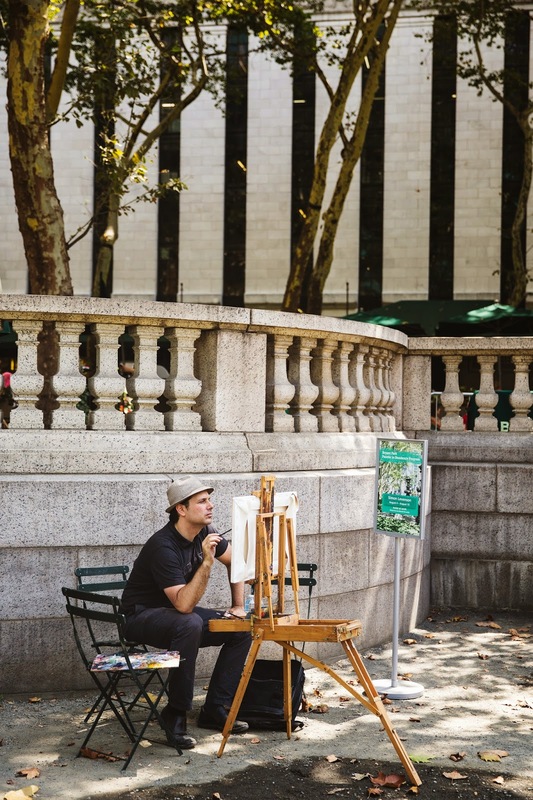 The three painters to follow are sure to produce beautiful Bryant Park imagery as well.